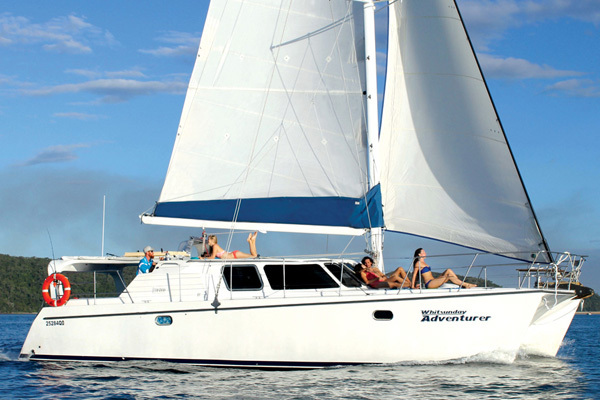 Sail the Whitsundays for two days and nights on board Adventurer. With inflatable kayaks, paddleboards, snorkelling and Whitehaven Beach all on offer, this trip is one of a kind. 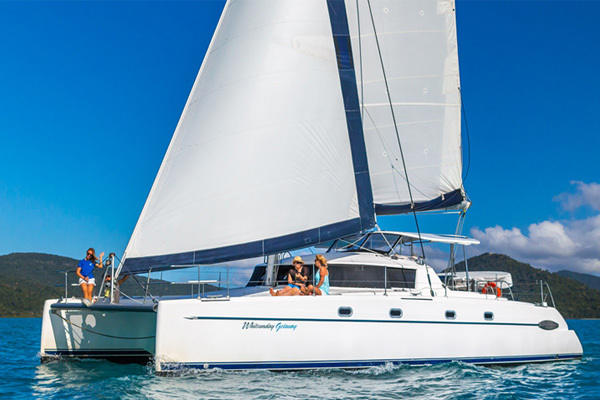 Powerplay’s fun atmosphere, amazing itinerary and unbeatable crew will show you the best of the best in the Whitsundays for 2 days and 2 nights. With paddleboards, kayaks, snorkelling and more, you’ll have the trip of a lifetime. An unrivalled collection of water toys makes On Ice one of the most popular trips in the Whitsundays. On Ice has a maximum of 10 guests and a catamaran that offers all the stylish comfort. 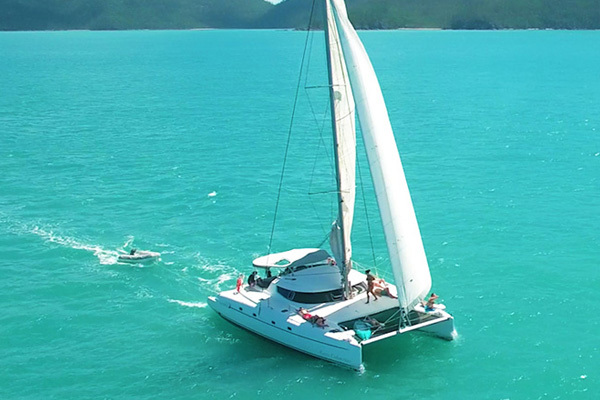 See the best of the Whitsundays on board Entice - the newest catamaran in the Whitsundays. 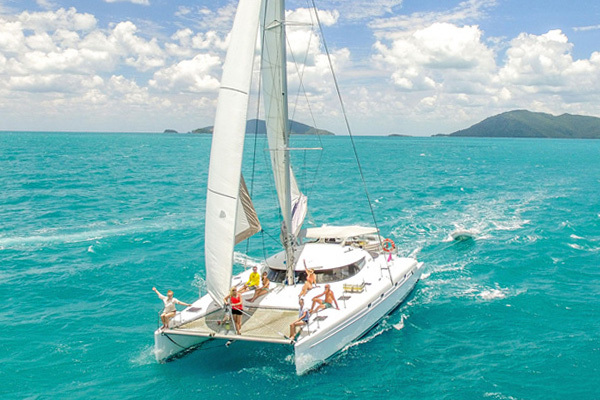 This relaxed sailing tour will take you to all the hot spots in the Whitsundays. 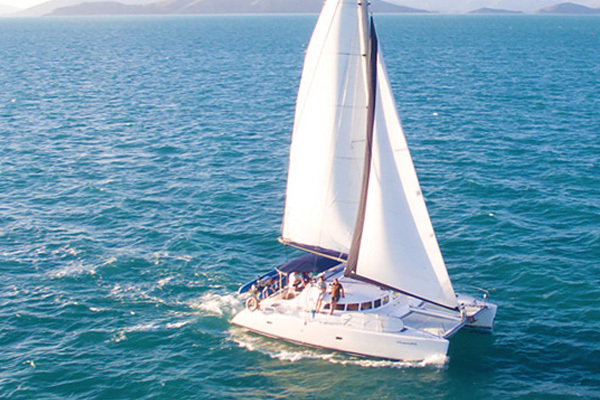 Sail the Whitsundays in luxury on board the beautiful sailing catamaran, Whitsunday Blue. For 2 days and 2 nights, you can explore and relax in comfort as you explore the Whitsunday Islands in style. 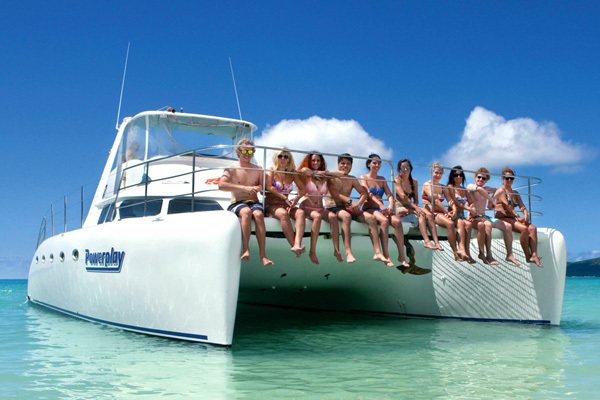 Whitsunday Blue offers one of the most exclusive tours in the Whitsundays. Taking only 8 passengers at a time, Blue offers an intimate setting that is ideal for couples who want to escape into the Whitsundays. 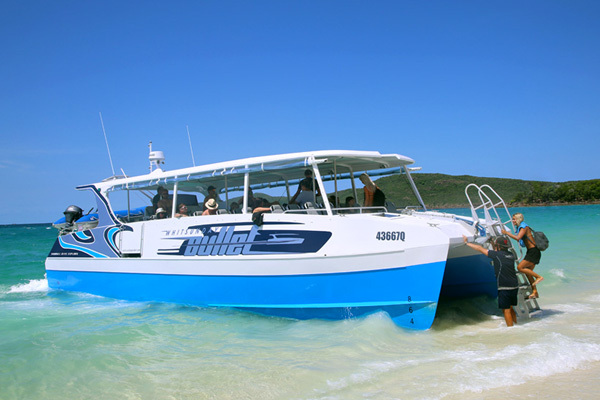 Cruise around the Whitsundays with speed on board one of the newest boats in the Whitsundays, the Whitsunday Bullet. This one day tour offers a bit of everything with Whitehaven Beach, Hill Inlet Lookout, and snorkelling. 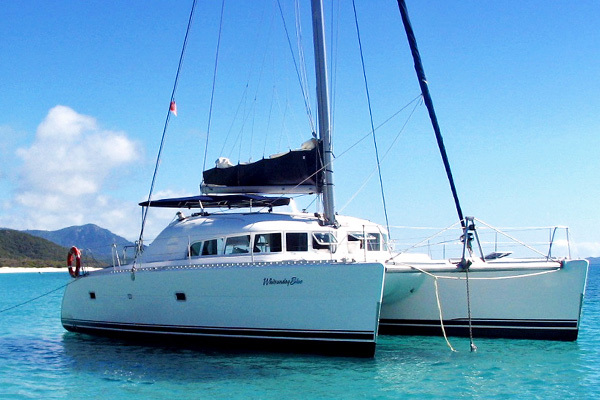 Whitsundays catamarans are proud to have the best fleet of catamarans with the best variety of options available. We take great pride in our commitment for providing a wonderful sailing experience around the world famous Whitsunday islands. sailing through such a stunning environment you will be captivated by the serenity of the Whitsundays.